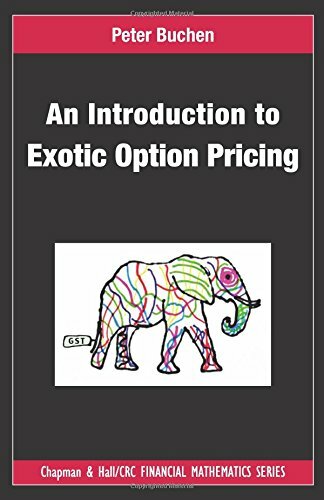 In an easy-to-understand, nontechnical yet mathematically elegant manner, An Introduction to Exotic Option Pricing shows how to price exotic options, including complex ones, without performing complicated integrations or formally solving partial differential equations (PDEs). The author incorporates much of his own unpublished work, including ideas and techniques new to the general quantitative finance community. The first part of the text presents the necessary financial, mathematical, and statistical background, covering both standard and specialized topics. Using no-arbitrage concepts, the Black–Scholes model, and the fundamental theorem of asset pricing, the author develops such specialized methods as the principle of static replication, the Gaussian shift theorem, and the method of images. A key feature is the application of the Gaussian shift theorem and its multivariate extension to price exotic options without needing a single integration. The second part focuses on applications to exotic option pricing, including dual-expiry, multi-asset rainbow, barrier, lookback, and Asian options. Pushing Black–Scholes option pricing to its limits, the author introduces a powerful formula for pricing a class of multi-asset, multiperiod derivatives. He gives full details of the calculations involved in pricing all of the exotic options. Taking an applied mathematics approach, this book illustrates how to use straightforward techniques to price a wide range of exotic options within the Black–Scholes framework. These methods can even be used as control variates in a Monte Carlo simulation of a stochastic volatility model.